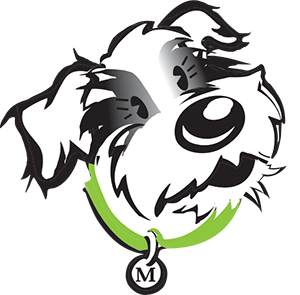 Woofers’ five full-time groomers are available Monday – Friday to give your pooch a 4 Paws Up Spa retreat. 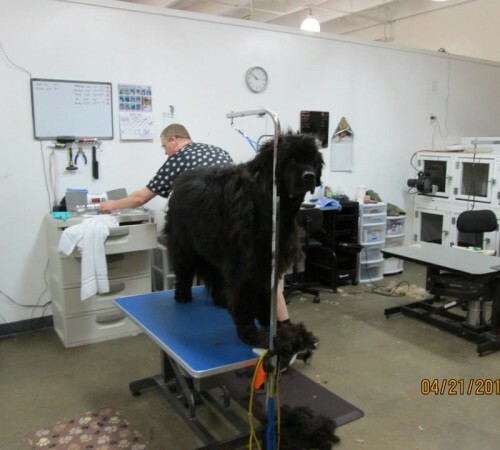 We offer multiple grooming packages as well as individual services. Call us at 843-669-8828 for your next appointment. 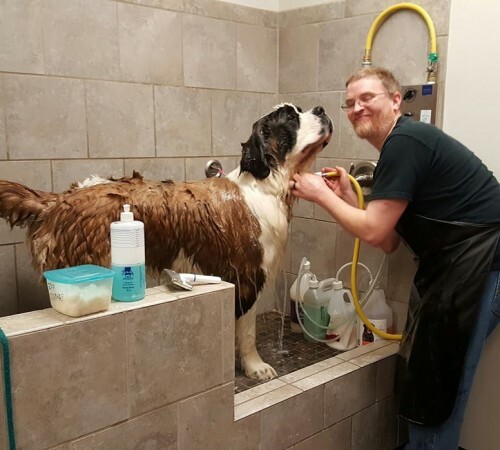 Our multi-step bathing process uses spa shampoos and conditioners followed by a nose to tail brush and fluff with nail trim and ear cleaning. Your furry companion has never smelled better! Just a little off the top. Includes a Premium Spa Bath and adds a little trimming for face, feet and sanitary areas. This is the perfect touch up to keep your pet looking their best. From the tip of the nose to the tip of the tail, this treatment will make your dog ready for the show ring. 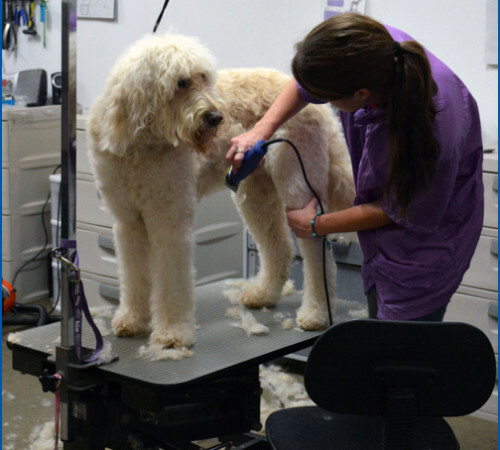 Our groomers offer standard breed cuts or they can clip to meet your preferences. 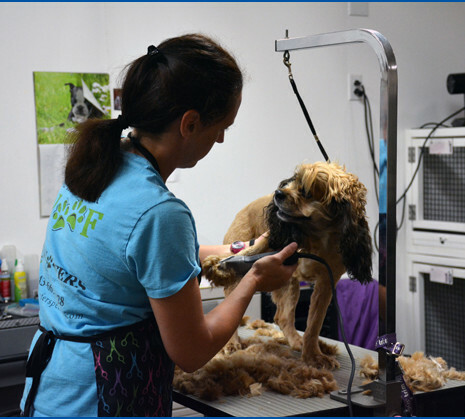 A Spa bath with nail trim and dremmel, and complimentary ear cleaning complete your dog’s luxury visit. Cat grooming available Mondays ONLY 8AM – 9AM. Call for details. DO keep your dog leashed when entering and exiting the facility. DO keep your dog’s vaccinations current. Dogs with expired vaccines are not allowed in the facility. 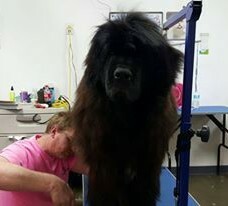 DO be specific on how you want your dog groomed. Our groomers are here to make you happy. DO remember to wash your dog’s collar and leash so your pet will stay clean smelling. DON’T bring food, beds, etc as your dog will start their spa visit upon arrival. We provide all dogs with clean, fresh drinking water and potty breaks. 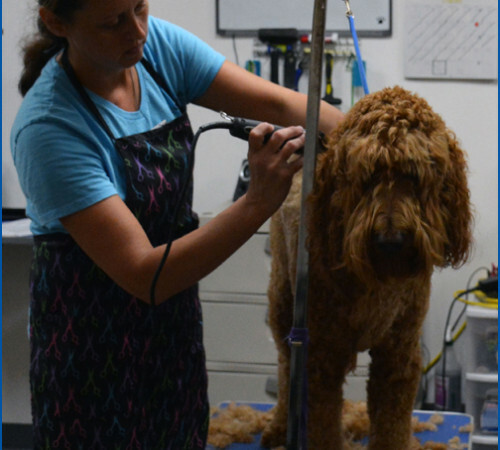 DON’T hesitate to ask our groomers for help. 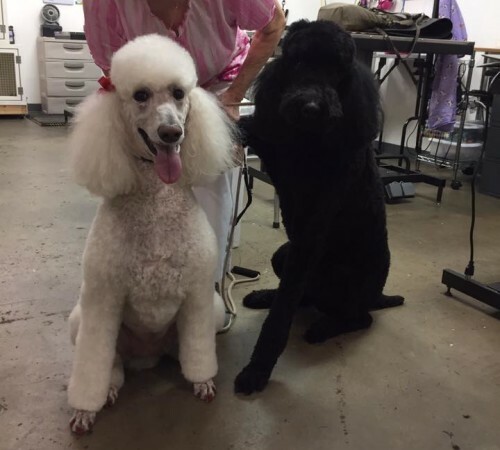 They are professionals and can give you advice on how to deal with your dogs daily grooming requirements as well as clipping suggestions for any breed.